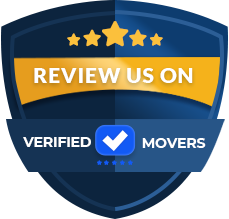 very good moving experience I will recommend them to anyone consider moving. professional and very friendly, it was a great choice for for our moving ! The black bear work team is great, from the first call everything has been very easy and friendly. At the time of packing my things they have been very careful and they have packed everything in a very professional way. My belongings have been mobilized in a spectacular way, I can not complain at all, they have treated me very well and have done their work in time and the price is very good. Work with black bear team it was as stress free as possible from the day I made the first phone call. Everyone I spoke to or met in person was great. I could really tell that they care about each and everyone of their customers. They were really hard workers and very responsable. I learned that this company is family owned and the majority of their workers have been in the business for a very long time. I felt comfortable working with them directly and knew my items would not be brokered out to the highest bidder. I was able to call in and request updates as often as I wished and I was contacted by the driver a few days before delivery. 5 stars is not enough for such a great company. 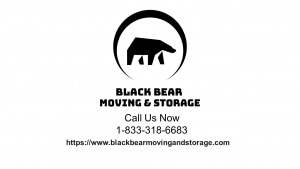 Black Bear has been a great solution for my move, I decided to make this note because I think they deserve great congratulations, the movers have been excellent, very kind and really good at their work, they have taken everything very carefully. Using packaging product to take care of all my things, in fact I have many delicate things and they have done excellent. I highly recommend them and I really hope my comment will help more people to make a good decision. I would dare to say that if you take this company as a decision you are not wrong. I could not be happier with the black bear team, they have taken care of everything during my move. Your customer service was nice and responsible to work with, they kept me informed all the time. The engines also lived up to the company's reputation, showed up on time, early in the morning and set to work immediately. They barely took a break from all the packing, the heavy work and the load. I was very pleased with the way they treated my things, your team use high quality packaging supplies to keep my items safe during transportation. Highly recommended professionals. A lot of bless to your crew. Black Bear has impressed me with the efficiency and professionalism of this company. They gave me a good and convenient quote, so I hired them immediately. Especially because I was referred to them by a great friend. They used quality packaging materials and wrapped my articles carefully. Both the collection and delivery were punctual and did not incur any additional charge. I heard about various horror stories and, to be honest, I was afraid of how it would turn out. Luckily, everything was great. His team did it wonderfully, very carefully and responsibly. I am very grateful and will be happy to use your services again and recommend them to all people looking for a reputable removal company. This moving company has solved all my needs, they have done an excellent job packing all my things and have been very careful when uploading all things to the truck. All the workers have been very dedicated and careful, they have been very punctual in everything. The price has been very good, this is within what I had budgeted. Black bear team was amazing and I really appreciate all of their hard work and efficient! The team arrived on time, explained to me their plan and immediately begin to realize the move. They we're really patient and carefull to packed and loaded all of my items onto their truck. They were polite and professional. My price did not increase at all and delivery went great. I recommend this company because it was my best option. Black bear team packed and loaded everything perfect. They're careful with all of our items and we hope the moving crew that arrives for delivery is just as good. We will be happy to share our experience with friends and family all over. Black bear have good service and great movers. The crew was efficient, polite and willing to work. They didn't complain, and also worked in a timely fashion. The crew listened to all of my requests. I would hire this company again if I ever need to move. You are great. Black bear company is a great! Professional and gave the extra effort needed to protect our furniture. I've used them 2 times in the past and each experience was good and stress free. I liked how they reached out to me to give me updates the whole time. I really appreciate the extra stuff they did to make my move better and easier. This company made a great job with my move, They did a good job packing. They had extra boxes, and all necessities needed. The deliver was on time and all the workers were very kind. Im very happy with this company. Given the complexity of the move, the quote Black bear moving and storage provided was more than satisfactory. They helped me move 3 bedrooms worth of items to LA. I wasn’t using professional moving services before, but according to my parents’ moving experience we’ve come to realize that the service the company provided was simply outstanding. The movers did their best to move our items up stairs and through a very narrow hall. I was very satisfied with their professional and positive attitude. Everyone looking for a reliable moving assistance should contact this moving company! Thank you so much for making my move a breeze! Thanks to Black Bear Moving and Storage my move to Jersey City was a trouble-free adventure. Although at first it was very stressful I did a meticulous research and background check on top rated moving companies. To be honest, Black bear moving and storage services were a little more pricey but I didn’t mind. As long as I receive a quality service I don’t mind paying extra. They were absolutely perfect and I have nothing to complain about in this case. Just keep up the good work! Hope that other customers will get the same quality service! I was very pleased with the way Black bear moving and storage team approached my move. They were very understanding from the very beginning and did their best to accommodate all my requirements. The best thing about our collaboration is that they managed to exceed my high expectations. They treated me and my belongings with the utmost respect. All my belongings reached my new home in perfect condition. They are the best service providers I’ve ever met and I will gladly recommend them to my friends, relatives and coworkers. What they showed during my move was pure professionalism and commitment. Black bear moving and storage went above and beyond to help me with the move. Both me and my housemates were very pleased with the service they provided. They moved our two apartments to one location before midday. Not only were they fast, but also ensured nothing was damaged or lost in the end. Their pricing was more than convenient and a flawless service was certainly worth every penny. I will be happy to recommend these hard working movers to everyone I know. People who are planning a household move should most definitely consider contacting Black bear moving and storage team. This is the second time that we move, the first time we did with my wife and my brothers, we filled a truck with our stuffs (bad packaged by the way), all for saving a little money and it was not like that we spent more money, this year we decided to hire professionals we found a list on the internet and we let ourselves be guided by the experiences of other clients, we found a black bear moving, we call the estimate was much lower than I imagined, when starting with the work I saw each of the steps and I said I will never do anything on my own, excellent work and high quality packaging materials! This is my first move and it has been a very good experience. This company gave me an excellent service for the price I needed. The guys who helped me make the move have been very efficient and good at their job. Congratulations for your effort and excellent company. 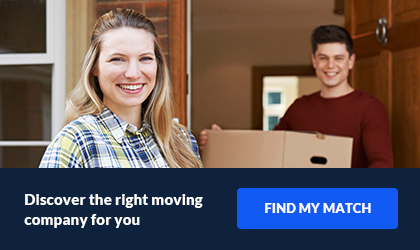 I still can not believe that I found the best moving company, they helped me with everything I needed, they packed my things professionally and nothing hurt me.My things were delivered on time and I was always informed of every detail about my things, thank you very much black bear moving team. Black bear team you are amazing. they way that you make your work is effective and efficient. The price is cheap and the service is 5 stars. I highly recommend the service and if I need to move againg is going to be with you. I am very grateful in all respects with the equipment of this moving company "black bear moving", they have taken care of my things and they gave them to me in perfect condition, I thought the delivery was going to be delayed but they always arrived on time.I appreciate the efficiency with which they work. I have hired these guys to make my move, I am very happy with the results, they have done an excellent job. They have been very responsible and hardworking, they delivered all my things in good condition and everything on time. You have definitely known how to gain my confidence to return to work with you. They have been the best option I could have taken. I'm very glad for thw work of these guys and after my first call I realized that I was dealing with professionals. You have great customer service, you showed an amazing efficiency while packing, hauling, loading and unloading my items. Pick-up and delivery were right on time. This was my first moving and I'm really happy with the service. I'm going to tell all my family and friends to work with black bear. This was my firts time using black bear service, I'm very glad to choosed you for my moving. The guys were awesome, they were very kind and hard workers. Also they were really carefully with my items, I did not have a single item damaged and neither my pickup or delivery location was damaged. If need to move again, Im really sure that is going to be with you guys. I had an amazing experience with you guys. There were no hidden costs, the price is fare and I love the way you make your work. In order to be honest, this was my first moving experience and I didn’t expect everything would go so quickly and perfect. Your team was so professional, kindly and efficient with the move, great option and great company. I am so happy for this work, The guys were very kind and worked so fast! They wrapped everything for make sure there was no damage. The service do they give us was perfect. It was our first time using black bear and it was well worth it! Definitely will use black bear again. my mother-in-law needed to move her piano and we did not know which moving company offers that service, we found a black bear on the internet and we are satisfied with the great work they did, each piece was carefully packed, and upon receiving it they assembled each piece with the same care , they do a good job as a team. This moving company deserves to take me a few minutes to write a review, I moved from a very big house and I have many furniture my mother has very valuable objects that pass from generation to generation, we thought about taking her things in our car so that they broke, but when the black bear moving team arrived they showed us the special material and the proper way to take care of the fragile things. Not everyone takes the trouble to show us how they perform their work, without a doubt these guys receive good training, and they have a lot of experience. The driver contacted me one day before delivery at our new home in Illinois, to confirm the delivery with approximate time. The next day without any delay I was receiving all my and my mother's things without any harm, this is called working with professionalism. It is really good to find moving companies like this Black Bear, they perform an impeccable job, they facilitate the whole process from packaging, transfer and delivery. With the same empathy that make the pick up, they do the delivery of my things. Very grateful for your help with my move. We did have a great experience with you guys. The cost was perfect wasn't the greatest Price that we got but definitely was the best option because of the service. It also a great delivery time just arrive in time. Im very happy with the way that your crew threat our stuff. I fully recommend the service, you got an loyal user. I am coming to my new home and I see my things waiting for me, thanks to Black Bear Moving for doing a great job, I know how hard these guys work, they are recommended so that everyone knows the good thing about working as a team. keep going black bear team !! Our mission at Black Bear Moving and Storage is simple: to provide high-quality services for our valued clients. Our team goes above and beyond to cater to each project’s specific needs. Through open communication and exceptional service, we hope you’ll find what you’re looking for with our moving and storage company. We can help you move states anywhere within the United States (even Hawaii). Whether it’s a small apartment or a private house - we will make sure your move is on schedule. We are cost-effective, efficient, and professional. We specialize in long distance moves and offer a full door-to-door service for all your moving needs. Moving to a new country? Not a problem, Black Bear has got you covered and we will help you through every step of the way during your move to a new country. 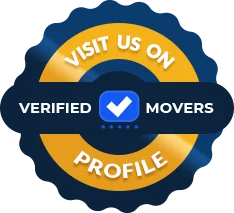 We provide you with a personalized moving plan and assist with the regulations, requirements, and customs for international moves. While moving a business may sound complicated, we make it simple and easy for you. No move is too big for us - we can handle any logistic need or challenge. We will take care of disassembly/assembly of furniture, moving pads wrapping service, full transportation (fuel, millage, taxes tolls), and full loading and unloading. We promise to be timely, cost-efficient and professional - all while transporting all your items to your desired new location. You can have the peace of mind you deserve, knowing you chose Black Bear. We offer special packing services for office moves and other businesses – adding a professional packing service to your move can save time and simplify the move (scroll down for Professional Packing Service section).